Research shows that today’s in-store purchases most often begin and end online. Even ready-to buy consumers will research online to find nearby stores, check reviews in-store before they buy, and leave their own reviews about their experience. In turn, those reviews influence the purchasing decisions of future consumers. 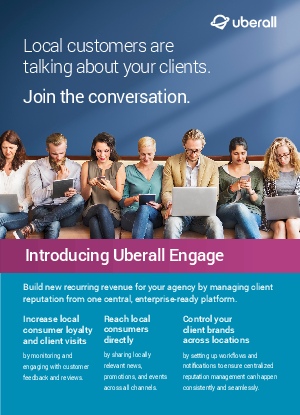 Your clients need to monitor and have a voice in those conversations, engaging with prospective customers and responding to reviews and comments.